The Safe Church Manual was adopted June 14, 2012. The First Congregational Church of Hopkinton, NH, United Church of Christ takes seriously our call and responsibility as Christians to guard and protect the safety, well-being, and healthy spiritual nurture of all people, especially children and youth. As such, we seek to provide a safe and secure environment for all children, youth, adults, employees, and volunteers who participate in ministries and activities sponsored by this congregation. 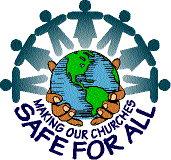 This Safe Church Manual reflects our deep commitment to making this congregation and these premises a holy place of safety and protection for all God’s people. The Minister, Director of Christian Education, Youth Director, and Church Moderator will oversee together the implementation of this Safe Church Manual. First aid kits and fire extinguishers will be readily available within the church buildings at all times. First aid kits will be maintained by the Board of Christian Education, and fire extinguishers by the Board of Trustees. The Director of Christian Education, in conjunction with the Chairs of the Board of Christian Education and the Board of Trustees, will develop and maintain a fire drill plan and, in accordance with the procedures set by the Hopkinton Fire Department, arrange for at least one Sunday School fire drill using our alarm system to be held yearly. Evacuation plans will be posted by each exit within each classroom and at each exit within the Parish House. The Christian Education Director, or representative from the Christian Education board, will ensure parents are aware of the location to which their child will be evacuated in the event of an emergency. They should also be made aware that they should not attempt to retrieve their child during an evacuation, but should meet their child and teacher at the designated location. “Adult & Pediatric First Aid, CPR, AED for Lay Responders” training from a certified instructor will be mandatory for the Director of Christian Education, Youth Director, and Minister. The church will pay any fee required for this training and retraining to maintain current certification. Training of Christian Education and Youth Ministry leaders, teachers, and volunteers will include on an annual basis the knowledge of this Safe Church Manual, location and use of fire extinguishers and first aid kits, and evacuation procedures. This Safe Church Manual will be posted on the church website, and every new member will receive a copy. All worship ushers will be instructed in the location and use of fire extinguishers and first aid kits on an annual basis, with a special training for Christmas Eve services. Injuries, accidents, and damage of any kind during participation in childcare, Sunday School classes, or youth group activities should be reported as soon as possible to the Christian Education Director or Youth Director. An Incident Report Form, copies of which will be kept in the “Safe Church” mail slot in the Parish House hallway, should be completed soon thereafter while memory of the incident remains fresh, and the CE Director or Youth Director should report the incident to the Minister. The Minister will keep the completed Incident Report Forms. Parents will be notified of any injury or health issues concerning their child, immediately if necessary, or at the close of Sunday School or youth group if appropriate. Due to the isolated location of the nursery, nursery volunteers should have a two-way radio to contact the Christian Education Director or representative from the Christian Education Board. All Sunday School teachers and youth group leaders need to be familiar with the location and use of telephones in the Parish House, and should be aware that these phones may be utilized for emergency purposes (911). We will strive to have two adults, or one adult and one teenager, present at all times in Sunday School classes. When this is not possible, the CE Director or designated Christian Education board member will serve as a “roaming” backup. Our goal at First Church is to rely largely on adults to be teachers, but we understand that our congregation is blessed with many mature and devoted teenagers who enjoy teaching our children. With that in mind, the CE Director can, with input from the Minister and CE Board, allow approved teenagers to become Sunday School teachers. Formal registration of all youth and children is mandatory for Sunday School. All parents must complete the registration form the first day their child is in class. Sunday School teachers shall keep accurate attendance records which can be utilized in emergency situations. At the end of each Sunday School class, only 4th-graders and older may leave their classroom on their own to join their families. Parents must come and get their 3rd-grade and younger children from the classroom. No child shall be disciplined by the use of any form of physical punishment. Verbal reprimands shall not include destructive criticism, insult, or shouting. Teachers and helpers in the classroom are encouraged to listen to the child and communicate expectations of appropriate behavior. If a child is continually disruptive, a teacher or helper from the class or a neighboring class may be sent to locate the Christian Education Director who will, if necessary, contact a parent. We will have at least one adult and one teenager to oversee the Nursery each Sunday and other times when nursery care is provided. First Church endeavors to follow the Guidelines of the State of New Hampshire concerning proper adult to child ratios. The State of New Hampshire recommends the following: 1 adult to oversee 1-6 children under the age of 3, and 1 adult and 1 aide to oversee 7-12 children under the age of 3. Parents must sign their children in and sign their children out. Legal identification can be requested by the Nursery volunteers. If someone other than a parent is picking up a child, it must be pre-arranged with the Nursery volunteers. Nursery volunteers have the authority to refuse the release of any child until a parent arrives. Toys and other nursery equipment should be checked, cleaned, and replaced on a regular basis. All youth group activities must have 2 adults, or one adult and an approved teenage volunteer, present to oversee the group. For all overnight activities that are co-ed in nature, there must be a male and a female adult leader present; and at least 2 adult leaders for any overnight activity. For all youth group activities outside of the Concord area, the Youth Director must have permission slips and medical release forms for each youth. Teenagers may not drive to and from youth group activities not located at the church unless parents have notified the Youth Director that this situation is permissible. Every person transported in vehicles must wear seat belts. At the end of youth group meetings or events, adult leaders (at least 2) must remain behind until all youth have been picked up by parents. Automobiles used at the request of First Church for transporting people as part of a First Church sponsored activity shall have proof of insurance (a copy of the insurance declaration page) on file with the church. The recommended level of liability coverage is at least $100,000/$300,000 ($100,000 per person, $300,000 per accident). Drivers will not use cell phones except in the case of a true emergency, and then the driver is encouraged to pull off the roadway to a safe spot. Every person volunteering to work with children and youth will have been associated with the congregation for a minimum of six months. Exceptions can be made only by the Minister in consultation with the Board of Christian Education. All paid staff, and volunteers with frequent and ongoing contact with children must complete the necessary paperwork for a criminal background check. All background checks will be funded by First Church. All volunteers who work with children/youth on a regular basis, or who chaperone overnight trips, must complete the Volunteer Registration Form. A new form and signature will be required each year. The Church Administrative Assistant shall submit the background check forms to the State Department of Safety. The completed forms and background check results shall be kept in a locked file on church premises, accessible only by the Church Administrative Assistant and the Minister. Any form that is returned with “results” shall be given to the Minister for review. An assessment shall be made by the Minister and Church Moderator as to whether the result would affect the person’s qualifications to teach/lead children/youth. Any concerns will be addressed by arranging a private meeting between the Minister and the volunteer. The Church Administrative Assistant will maintain a list of adult community members who have been given clearance on their background checks. The Christian Education Director and Youth Director, in conjunction with the Church Administrative Assistant, will maintain administration of all Volunteer Registration Forms. New Hampshire state law requires the reporting of all suspected child abuse or neglect at First Church or in the child’s home. No evidence of the abuse is needed. Reporting is mandatory, and good faith reporting of suspicions of abuse or neglect shields the reporting person from any liability as a result. Provide an appropriate setting in which to, if at all possible, have two adults present. Listen. Keep notes on what is said. If it is not possible to do it then, follow up with your notes immediately after, so you have the person’s story as accurately as possible. Include all details offered. [Remember, however, you are recording, not investigating. If you ask questions, they should be open-ended; for example, “And then what happened?” or “How did you feel?”] Be sure to indicate in your notes your name, the child’s name, and the time and date you received the story. Your notes will enable you to make an accurate report. You will need them if you are asked to testify later on. Express that you believe his/her story and affirm his/her courage for seeking help. Be honest with the person telling his/her. Don’t make promises you can’t keep, but offer support and hope. Tell the child, if you have not already done so, that you won’t be able to help them by yourself and will have to tell someone else. The law states you are to report what a reasonable person would suspectto be abuse or remember you are not asked to determine whether or not a crime has been committed. A verbal report must be made to the New Hampshire Department of Children, Youth, and Families (DCYF, telephone 1-800-894-5533 or 1-800-852-3388) immediately. DCYF will give you instructions. Details of the occurrence will be included in the incident report. Report the story to the Minister as soon as possible, and fill out an Incident Report Form. Keep the matter. Seek guidance from the Minister. Ask for support for yourself. Not all unwanted behaviors warrant the involvement or need of state authorities. Nevertheless, they do require a First Church response. Other instances of concern may include: inappropriate language, language that demeans any other person, or any unwanted or inappropriate physical contact between anybody. If any individual has any concern whatsoever regarding the care or treatment of themselves or anybody else, that person should feel the ability to approach the Minister, Church Moderator, Christian Education Director, Youth Director, or any member of the Board of Deacons. The information should be taken quickly and confidentially to the Minister and Church Moderator, and the two of them will take the lead in undertaking a full investigation and determining an appropriate response. Should an allegation be made against the Minister or Church Moderator, the chair or co-chairs of the Board of Deacons will step in to partner with either the Minister or Church Moderator in the investigation and response. In addition, the Minister and Church Moderator will work to provide pastoral and other support to all parties involved.